There has been much discussion about use of anchor buoys (trip lines) on the web, most often by people who are complaining about their use. An ‘anchor buoy’ is basically a buoy attached to the crown of the anchor by a rope (not every anchor has an attachment point in the crown). 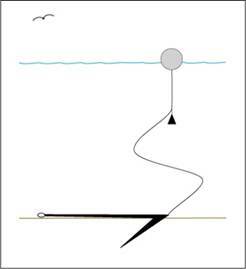 The length of the line set to a depth equal to the depth of water at high tide. The buoy does two things. It marks the exact spot where your anchor is set, thereby preventing others from dropping their hook in the same spot. It also assists in the retrieval of the anchor if it gets stuck. Most people complain about trip lines in tight anchorages. They like to have their swing radius overlap significantly to allow more scope which they feel they cannot do if you have deployed an anchor buoy. On the other hand, we like to inhibit people from overlapping that much, if possible, since every boat swings a bit differently. We don't like to play bumper boats in the night if there is a wind or current shift. And, we do not cherish hauling up huge rocks, chains or cables. Any time you add gear, you may add potential complications. Our friends sailing in the Caribbean had their trip line pulled up and their boat set adrift in the middle of the night as one of the locals thought someone had set down a competing mooring. On another occasion we watched a boat pull up to our buoy and try to pick it up thinking it was a mooring. Another boater we know anchored a bit too close to a friend’s boat and ended up with his buoy wrapped around the other boat’s keel. It is a risk. Losing an anchor is an expensive proposition. A good anchor can be quite expensive. As we have had one anchor so jammed that we had to cut it away, we tend to use trip lines rather often. We use nylon rope so it sinks and doesn't foul dinghy props. We label our buoy with our boat name so it's clearly associated with us and (hopefully) not confused with a mooring. And still these precautions wouldn't help in the situations described above. 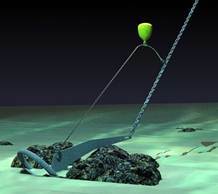 As there are ways to retrieve a fouled anchor without a trip line, perhaps reserving the anchor buoy for the foulest of bottoms would be sensible. 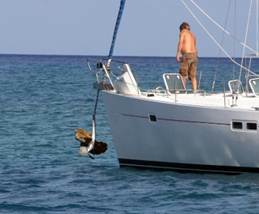 For example, in our book, "Happy Hooking - The Art of Anchoring", we describe a way to retrieve a stuck anchor by shimmying a loop of chain down the anchor rode to the crown of the anchor from a dinghy. Then one can use the dinghy to free the anchor by pulling it up by the crown. We have had one instance where such a trip line ‘after the fact’ did not work. A friend anchored in a mooring field (always a bad idea) and got his anchor's tip stuck in a link of a massive chain. It was wedged in so hard that it took several divers with equipment to free it. 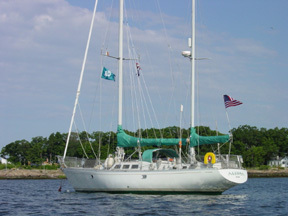 There are also commercial anchor retrieval systems like Anchor Witch, Anka-Yanka, and Anchor Rescue among others. 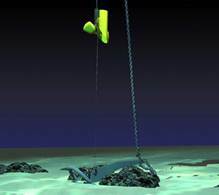 The Anchor Witch website has a fine demo video that shows it retrieving a Rocna anchor. 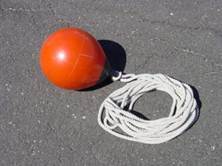 A simple option is to deploy a trip line without a buoy is to add a length of floating rope (such as polypropylene) extending from the anchor crown to a point up the anchor rode. This line should, of course be longer than the maximum water depth. With this one can haul up the anchor by its crown should the anchor become stuck. An option we are not enthusiastic about is to shackle the rode to the anchor crown and then attach it to the end of the shank with something that will break away under significant load. The idea is, if the anchor is stuck, one can pull hard on the rode breaking the connection to the shank and then pull on the crown. We feel that this may could also break under the strong loads exerted in a storm situation causing your anchor to come free just when it is needed most. Finally, there is the slotted anchor shank – along with other iterations that allow the rode to move along the anchor shank. 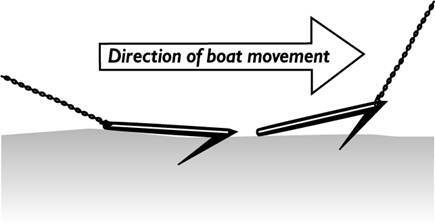 Whereas the intention here is to make anchoring in rocky or other foul bottoms less stressful, as the skipper need only motor forward to free a stock anchor, we need only ask what happens in a 180 degree wind reversal, and it is clear that this is potentially quite dangerous.